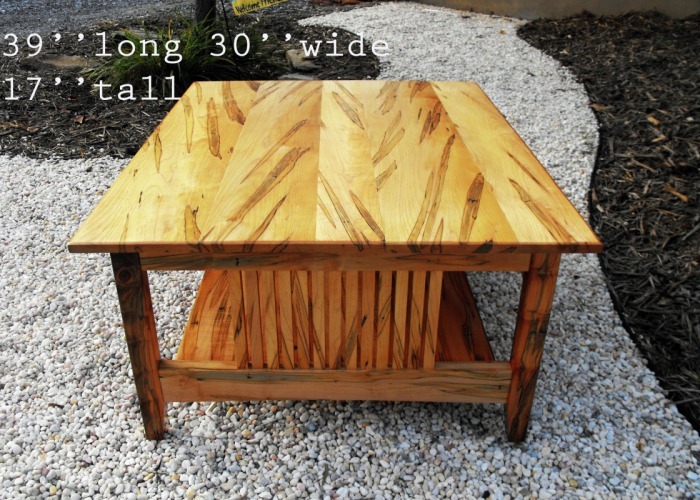 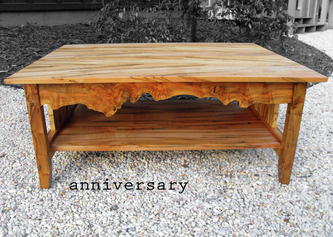 Coffee Table with Shelf: wormy tiger maple and wormy burled maple. 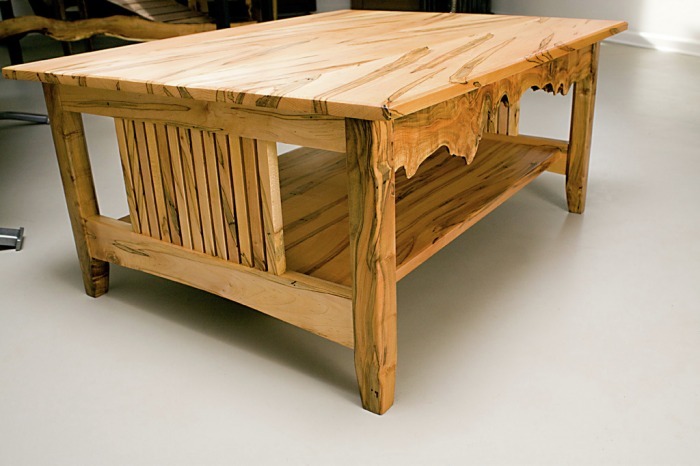 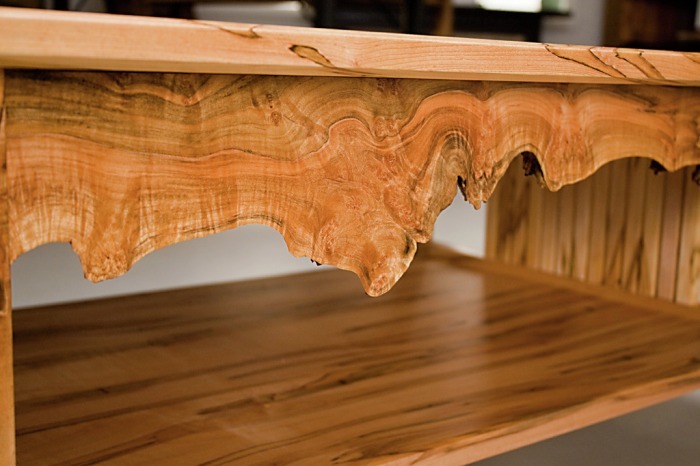 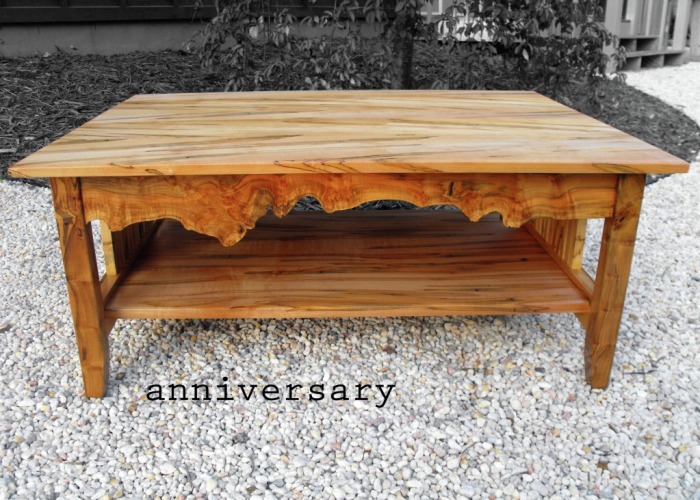 The aprons underneath the top that run along the side of the table are natural edged wormy burled maple which gives it that striking natural appeal. 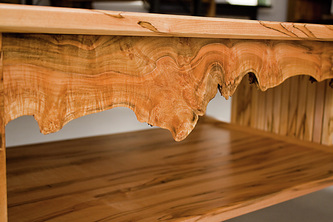 A durable oil/urethane blend protects the wood and enhances the rich figured maple.